Who are you calling an alcoholic? I’m sure you’ve already had your fill of writers telling you that they’re giving up drink for January or that they’re not giving up anything for January because they’re different. Instead I thought it would be interesting to reflect on how easy it is to drink too much when you’re in the wine business. The man who interviewed me for my first job was an alcoholic. Not just someone who really liked a drink but a proper if he didn’t stop he’d die sort of alcoholic. Just before we met he’d been in rehab and had now resumed his job selling wine. It seemed a mad decision but he was very calm about the whole thing. I later learned that this was not an uncommon problem at the company for which he worked (alright, it was Oddbins). Certainly everyone drank heavily. Not just us youngsters straight out of university but also the managers who were mainly very bright men in their thirties or early forties with an air of thwarted ambition about them. I lasted two years and rose to the dizzying height of assistant manager. I was by now drinking a lot. I had to get out so I moved into publishing where I worked for long hours for very little pay but there were lots of parties with lots of wine and it could all be excused as entertaining or staff bonding. By my early 30s I was tired. 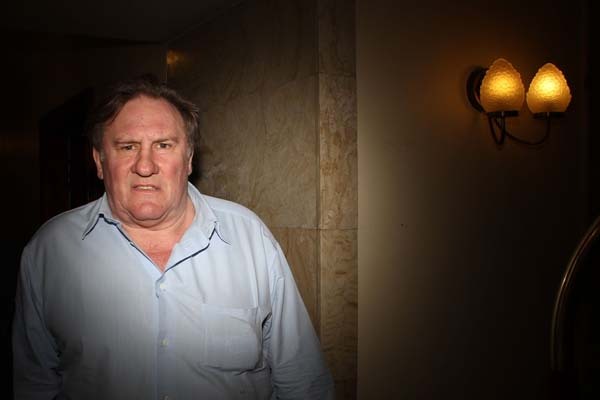 I’d probably drunk an average of a bottle of wine a day for ten year – a mere apéritif for Gérard Depardieu but too much for me. It wasn’t actually that hard to cut down especially as my wife who I married in 2009 drinks very little. It’s not much fun getting drunk on your own. I’d just managed to get on top of things when I started blogging about wine. I attended tastings. Here I recognised kindred spirits: people with blotchy faces and hangovers but most of all with that gleam in the eye, the gleam that says, I go on a bender at the drop of a hat. And then there were the samples! Some evenings without realising it I would have two bottles of wine. I’m not drunk, I’d say to my wife, I’m tasting! Then I’d put the Pogues on. Loud. What I needed was some structure. I didn’t want to be one of those people, common also to the book trade and journalism, who has to give up drinking because it all got too much. I want to go on enjoying wine into my seventies. Some people try to stick to the Government recommended guidelines of 21 units a week for men and 14 for women. The trouble is that these figures are spurious. For some they’re laughably small, for others such as my wife, they’re too much. Richard Smith, who worked on the committee that advised the Government, admitted in the British Medical Journal that ‘we just pulled them out of the air.’ Even more ridiculous is the government definition of binge drinking, eight units of more at once, that’s four pints – hardly Oliver Reed territory. Instead I have come up with my own system for managing alcohol intake. At publishing parties I drink beer so I know how much I’ve drunk (and the wine is normally filthy). I don’t drink at all on Mondays and Tuesdays. On other days if it’s just my wife and I, I’ll make sure we only have half a bottle by decanting half into a 375ml bottle to share the next night. Samples are tasted and then given to neighbours or poured down the sink (unless they’re exceptionally good.) On weekends and Friday nights I can drink more but having a toddler to look after the next day is a great disincentive to do an Oliver Reed. In truth I break these rules frequently but it’s good to have a bit of a framework. A good way of gauging things is if my wife is irritable, it means I’m snoring which means I’m drinking too much.